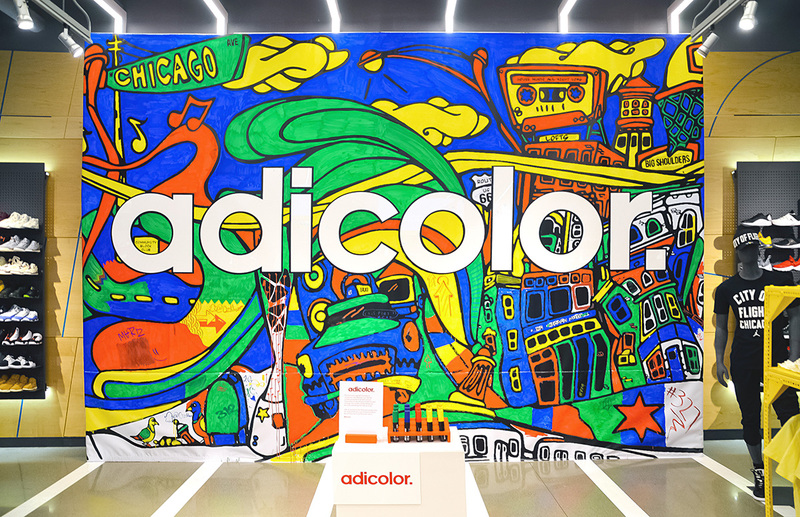 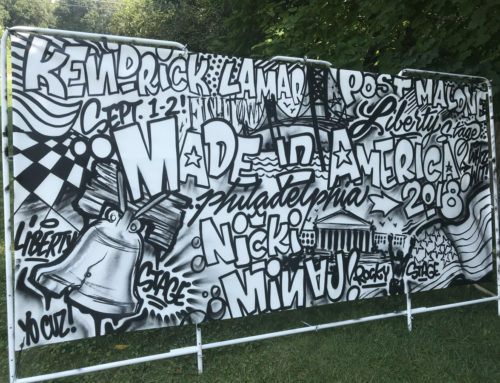 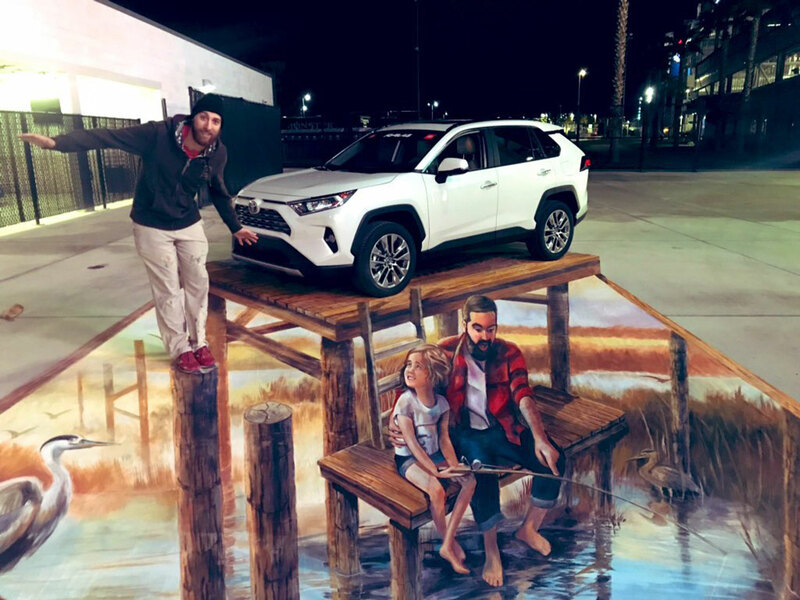 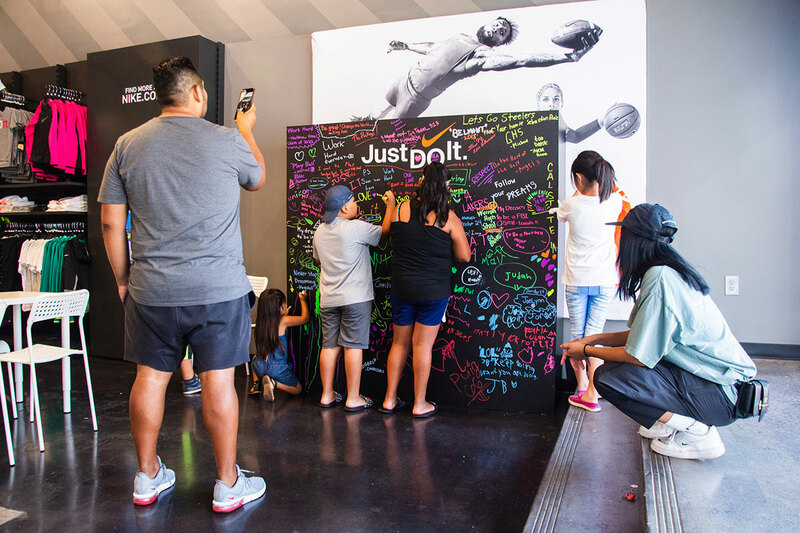 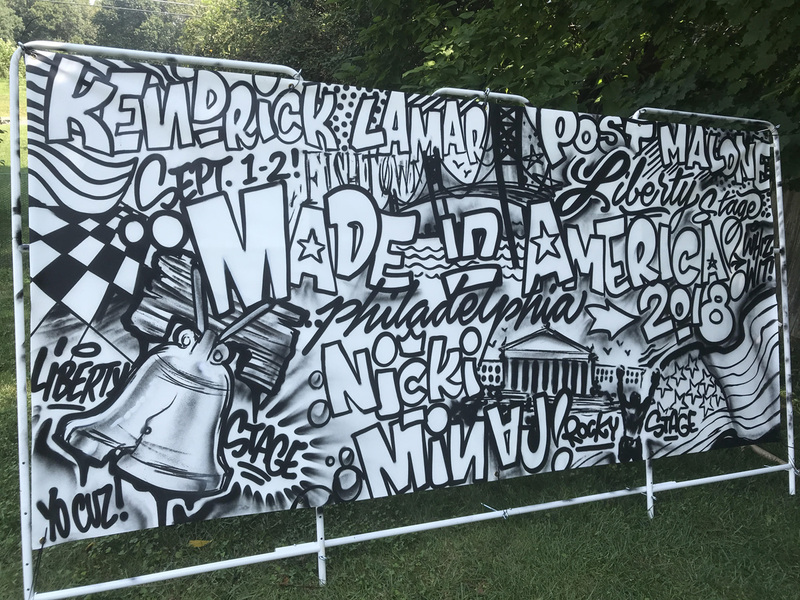 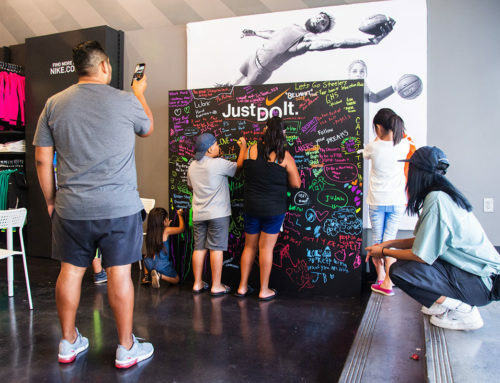 We’ve noticed a trend this year and Adidas isn’t the only one interested in creating interactive live murals allowing participants to assist the artist and fill in portions of commissioned art pieces. 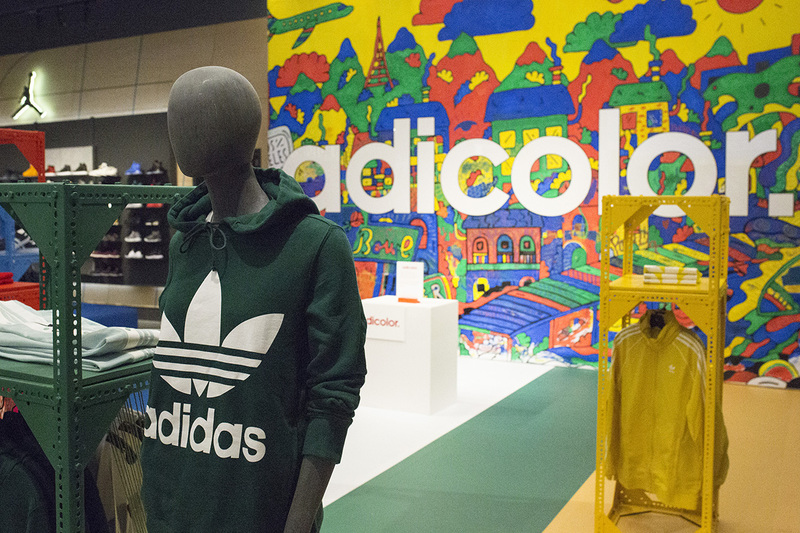 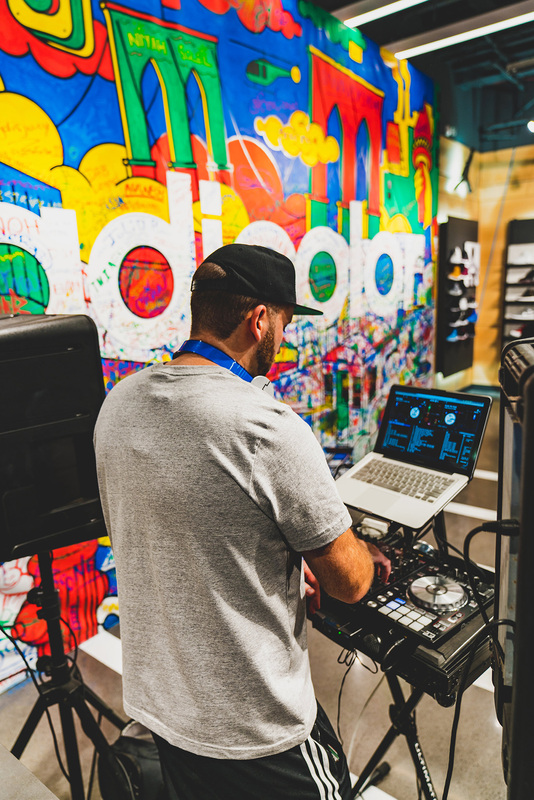 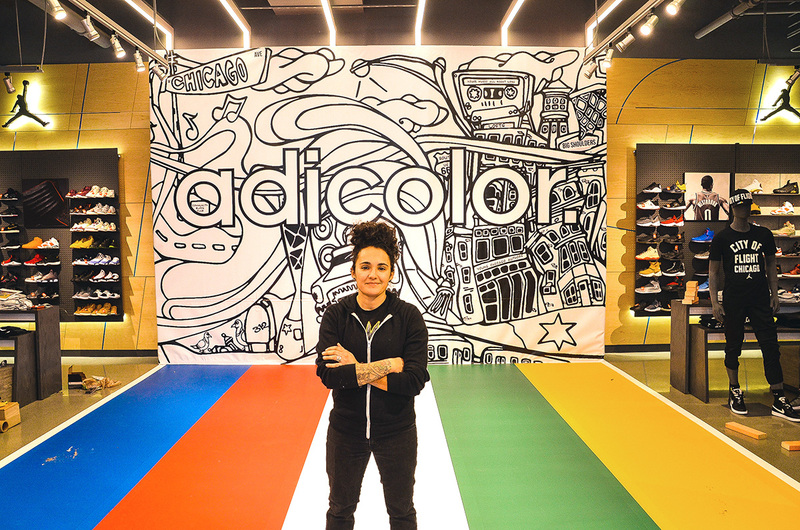 Latitude, a brand experience design agency came to us to help with a nationwide Adidas launch. 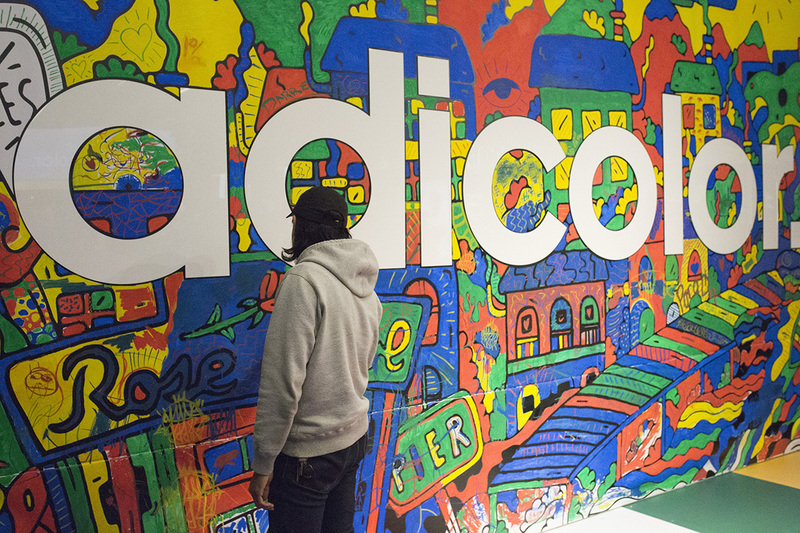 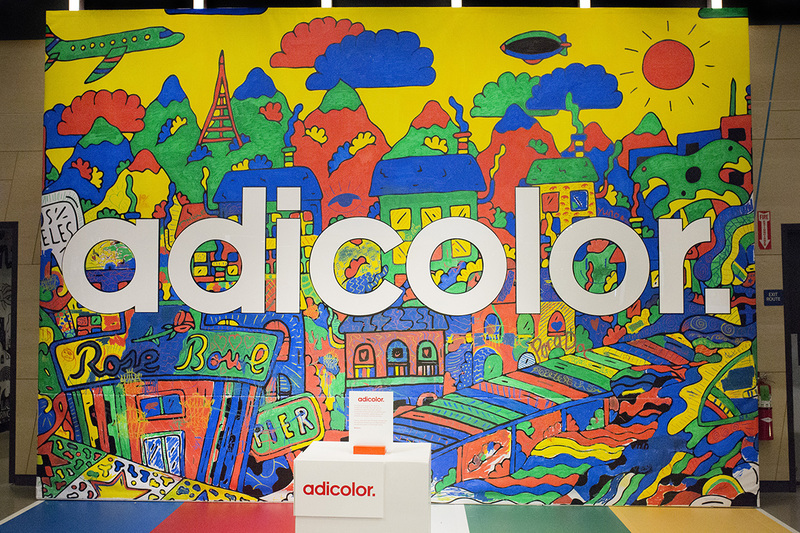 The “adicolor” adidas launch transcends cultures and eras to redefine itself in new contexts – always taking color seriously, and taking itself less seriously. 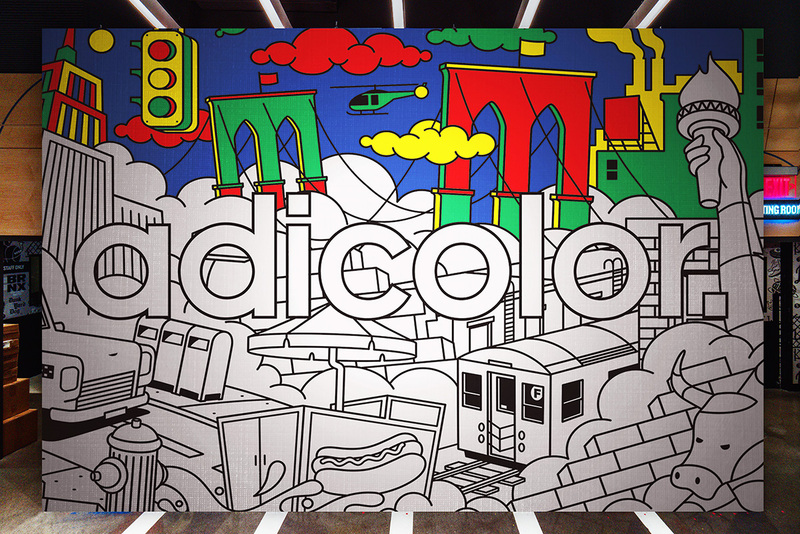 We helped curate the right graffiti artists for the gig in NY, LA and Chicago to design a black and white illustration showcasing the unique landscapes of their city that only a true local would know. 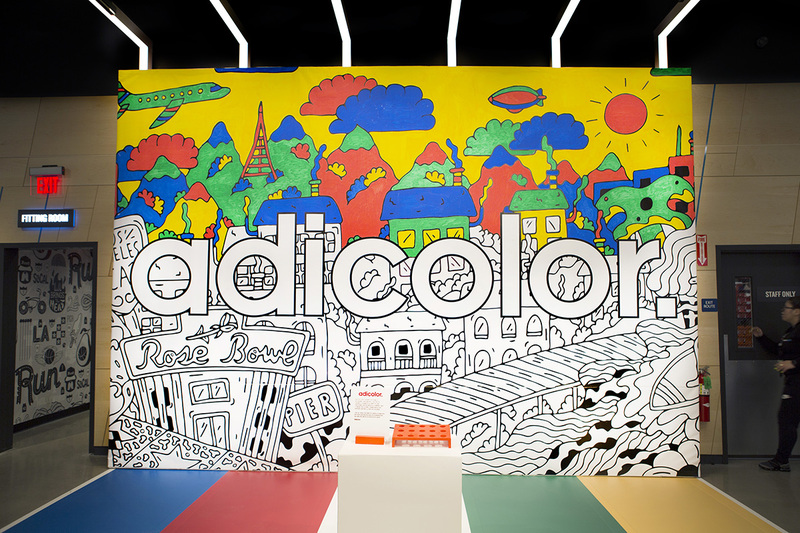 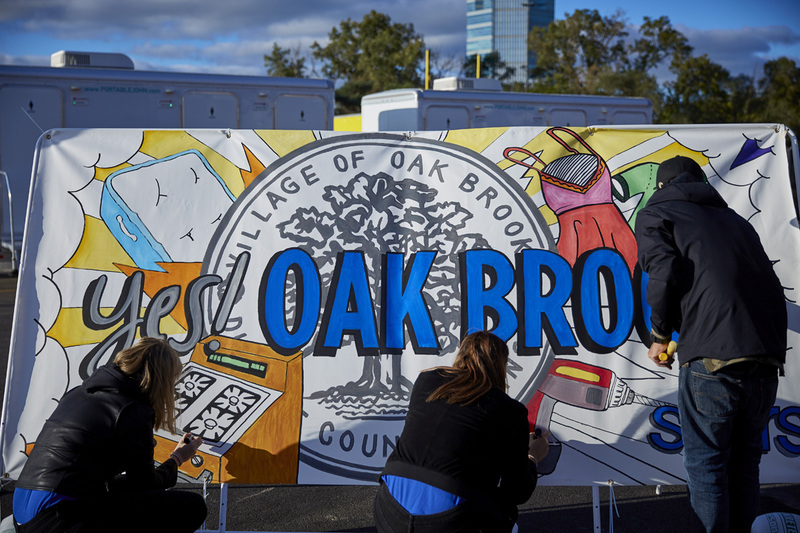 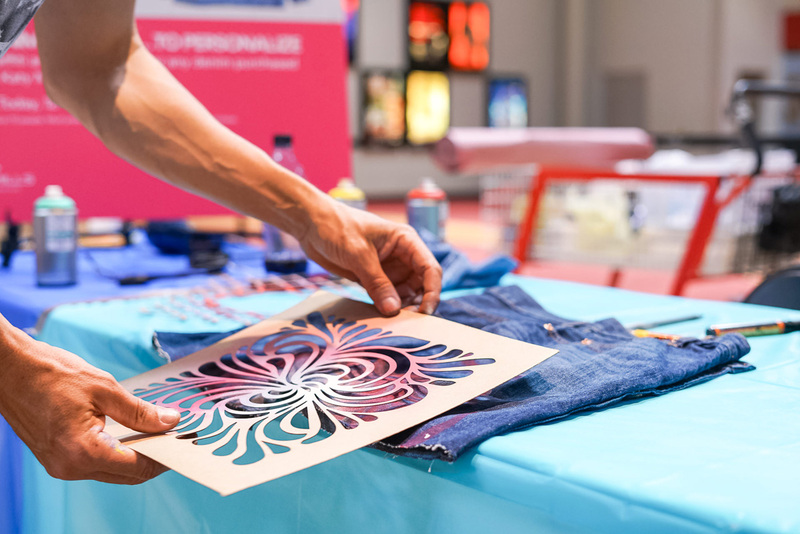 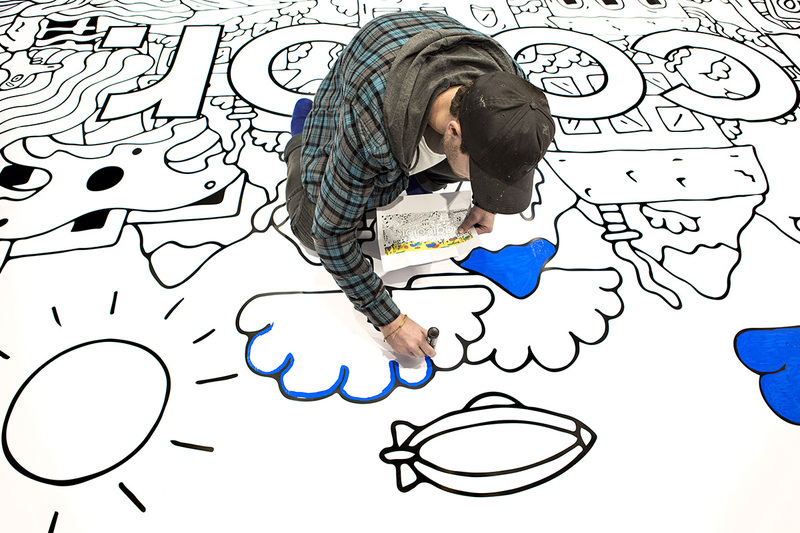 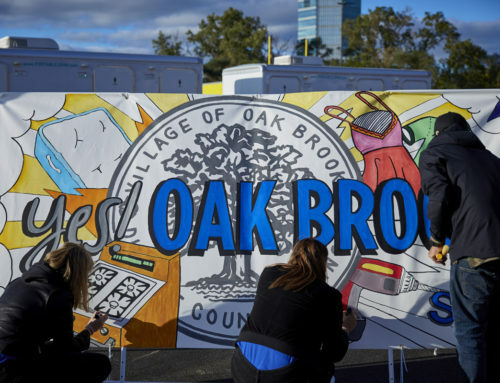 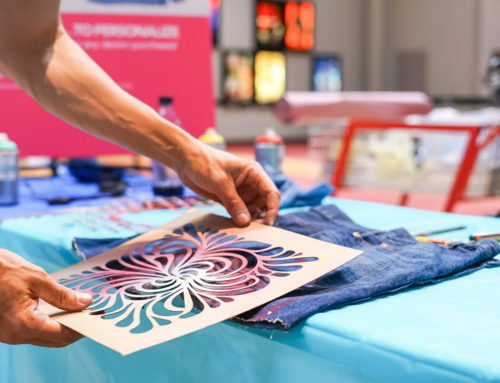 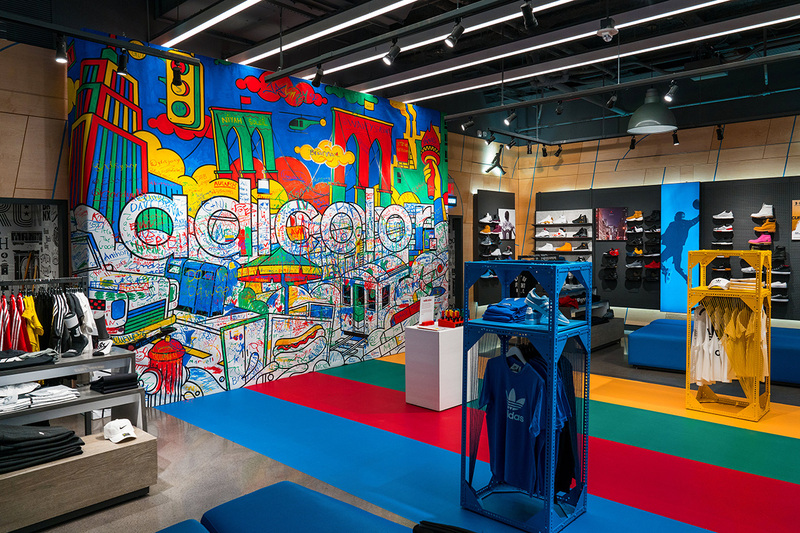 Artist’s designs were then printed onto a large canvas featured at Finish Line locations and to be later colored in by store visitors over the duration of two weeks.